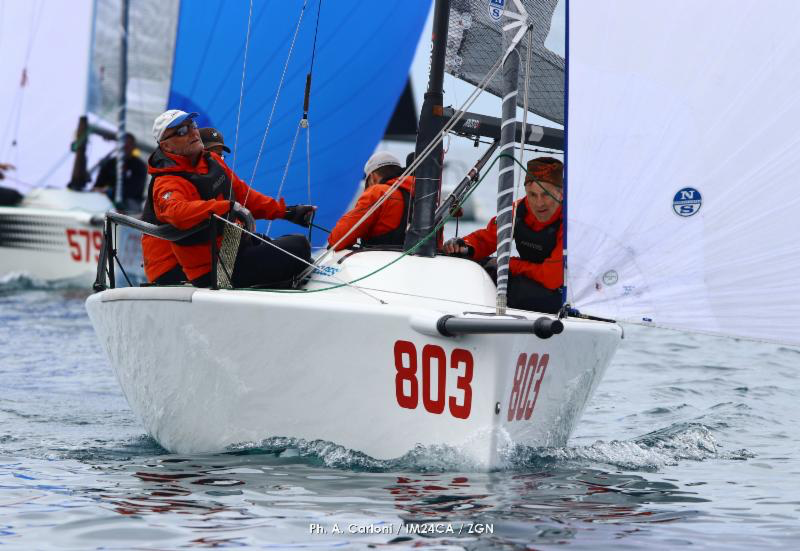 Article by The International Melges 24 Class Association April 7, 2019 - Portoroz, Slovenia - The third day of the Marina Portoroz Melges 24 Regatta, the season opener of the 2019 Melges 24 European Sailing Series, concluded the winner and shuffled the cards among Top Five. Estonian Lenny, taking early lead since the first day, confirmed its victory with eleven point margin ahead of Italian Taki 4 and Arkanoe by Monturacompleting the podium - both in overall and Corinthian rankings. Thirty boats from all over the Europe were representing ten countries in the first event of the season. Light conditions favoured the stalwart of the class from Germany, Eddy Eich's Musto RacingGER803 with Oliver Oczycz in helm to take the solid first bullet of the regatta. Great performance by Davide Rapotez' Destriero ITA579 from Trieste who was the second to cross the finishing line followed by the current regatta leader Lenny EST790 of Tõnu Tõniste as third, Hungarian FGF Sailing Team HUN728 of Robert Bakoczy fourth and Taki 4 ITA778 of Marco Zammarchi with Niccolo Bertola in helm fifth. The best images, videos and news will be brought to you by Zerogradinord.